India’s opportunity lies in harvesting technology in a way that leverages what is often seen as its weakness, writes Gautam Adani. We have now heard the story to the point of exhaustion – the human race is under threat and the robots will take all our jobs as they learn to mimic human behaviour; that artificial intelligence will make the robots super beings that will write and rewrite their own code to continuously upgrade themselves and “grow up” at a pace unfathomable to the human race. People talk about machines that will be happy or depressed as they increasingly learn to mimic human behaviour. In fact a recent McKinsey study estimated that about 800 million jobs will be lost globally because of the technological advances being made, but that these would be jobs that “have not yet been invented”. Meanwhile, governments are fighting a losing battle in developing policy to keep up with this pace of technological change that has infused uncertainty into job markets all over the world. While, this transformation is complicated enough for the developed world, for a country like India, which is finally putting together a future that envisages several decades of high growth, the turbulence created by these technological changes needs to be navigated carefully. With the dramatic improvements in robotics and automation there is increasing realisation that India’s growth cannot come from inexpensive labour or low-cost manufacturing, as China was able to do so brilliantly just 30 years ago. Nor can India sustain its own success in low-cost services outsourcing, since most of these outsourced tasks are themselves being automated. In other words, all forms of labour arbitrage will tend to converge in a technology-driven world. India’s opportunity instead lies in harvesting technology in a way that leverages what is often seen as its weakness – the lack of centralisation that has left vast numbers of the population in poor, rural communities, which the developed world eloquently coined “bottom of the pyramid”. It can do this by empowering its villagers. This opportunity is far closer to reality than most people can imagine today. Mahatma Gandhi once said, “India does not live in its towns but in its villages”. 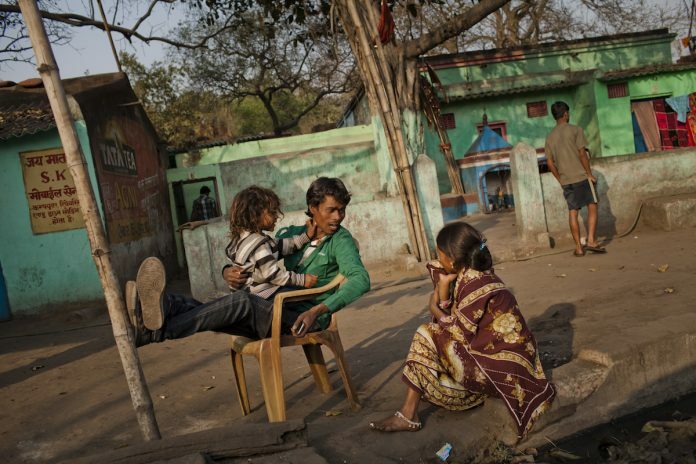 It is still largely true; over two-thirds of India’s population still lives in rural areas. While many have criticised this as a reflection of the country falling behind on an entire century of industrialisation, it opens up the mother of all leapfrogging opportunities in decentralisation and micro-sizing. In the last industrial era, economics was based on centralisation; centralisation fuelled capitalism, which in turn was based on the two principles of scale and hyper-efficiency – this is one of the key reasons why villages were left behind. Paradoxically, it is the power of capitalism that drove investment into various areas of technology that is today allowing the two opposing principles of hyper-flexibility and hyper-efficiency to converge. The internet, cloud, mobility, 3D printing, artificial intelligence, internet-of-things, blockchain – all these technologies enable the drive towards distributed networks and rapid pushing of change to the “edge”. Similarly, education, healthcare, renewable energy sources, agriculture, and banking are taking advantage of these technologies, which allow for economic deployment on a micro scale, with much lower price points than were considered possible just five years ago; and these cost curves are continuing to fall rapidly. An India with 6,49,481 self-sufficient “smart villages” is the far bigger and more sustainable opportunity to drive growth than trying to convert chaotic urban environments into “smart cities” like the rest of the world is attempting to do; or trying to become the low-cost manufacturing or services hub for the West. Let us imagine an India where every village in India (and possibly all across the developing world) is self-sufficient through a series of technologies that enable micro-sizing. None of the above requires large-scale central infrastructure or dependence on massive investment. The possibility we see today is the tip of the iceberg that can transform nations and put it on a path of growth for decades to come. This technology-enabled shift away from mega-projects leads to a democratisation of infrastructure investments impossible to imagine just a decade back. Therefore, rather than talking about technology-driven job losses, the discussion needs to shift to the possibilities and policies for technology-driven job creation that holds the potential for the largest scale uplift of the less privileged that history may have yet seen. All these possibilities will need the government to invest in the next generation of national infrastructure (in high bandwidth internet connectivity); build out a robust policy framework that is not based on technology but principles (online privacy rules that protect governments and citizens); and invest in technologies that are unique to the Indian model of development. In India, this process has already started. It will now also require the private sector to see this as a chance to create the next trillion dollar businesses. Overall, there continues to be a lot to hope for and, properly done, this can unleash a scale of innovation and entrepreneurship that India has never seen before, and provide the world with a model of successful economic development for a post-industrial world. This article was first published on www.weforum.org on 19 January 2018.